Ahh, yes, cinnamon chips. They were one of those newish ingredients I was loathe to try when they first appeared in the grocery store a couple of years ago, because they just sounded too fake to me. I envisioned little waxy textured, synthetically-flavored dots of hardened goo. It wasn't hard to tamp down what was a very moderate curiosity to begin with. I passed them by in the market week after week. No backward glance. Something--I knew not what--would have to legitimize cinnamon chips before I would trade cold hard cash to procure them. And then, about a year and a half ago, I discovered King Arthur Flour's mini-cinnamon chips--better in quality than what I'd seen at the grocery store, no doubt. I bought a small bag, tested them out in a recipe, and found they were actually pretty darn good. 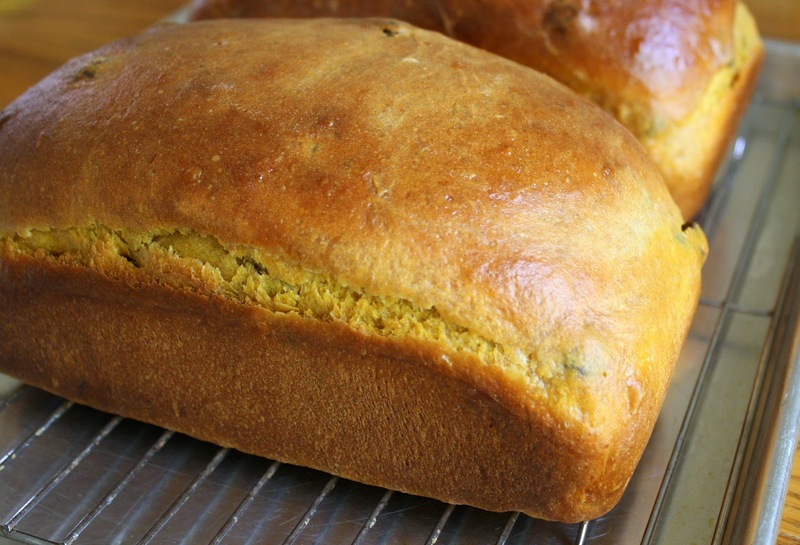 So good, in fact, that I was miffed to realize I was completely out of them when I began assembling my ingredients to make these pumpkin scones the other day. Not a single King Arthur cinnamon chip to be found on the premises. My choices? 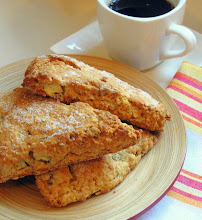 Use something besides cinnamon chips in the scones (mini chocolate chips? chopped candied ginger? chopped pecans or walnuts? raisins? ); leave them plain (still good, but boring); or take a stab at making my own quick-and-easy chips at home. I picked the Do-It-Yourself option. I had a sizable chunk of Callebaut white chocolate on hand, so I cut off a modest wedge, melted it slowly and carefully in the microwave, mixed in a scant teaspoon of ground cinnamon, spread the mixture thinly onto a piece of plastic wrap, sprinkled more cinnamon over that, laid another piece of plastic wrap over that, and slid it into the freezer for less than five minutes. Once rigid as a board, I broke the cinnamon-chips-to-be into a zillion tiny pieces, added them into my scone batter, and voila! Homemade cinnamon chips in homemade pumpkin scones. Sensational. What, I ask you, is autumn without a nice warm batch of pumpkin scones cooling on the kitchen table? I dare not think. 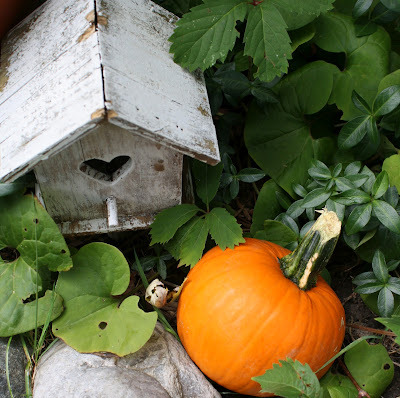 Adapted from a King Arthur recipe aptly titled Harvest Pumpkin Scones, I made only a couple of small changes to the formula. I used a little more pumpkin than called for, along with a smidgen of 1/2 and 1/2; my dough, otherwise, would have been extremely dry. I also reduced the amount of allspice by half. I used homemade cinnamon chips, and I reworded the recipe to reflect my actual steps. 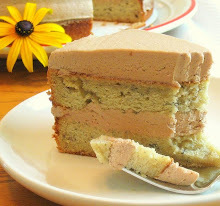 No mixer needed for this recipe (yay!). Melt the white chocolate slowly and carefully in your microwave, or melt it in a small bowl set over a pan of simmering water on the stove. 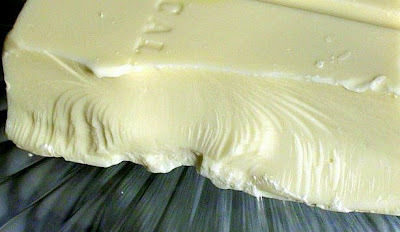 If you do it on the stove, be sure no water at all gets into the bowl with the white chocolate. Stir the 1 teaspoon of cinnamon into the melted white chocolate thoroughly. Spread out a small sheet of plastic wrap on a flat surface. 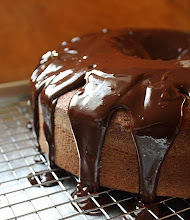 While the chocolate is still very warm, spread it out thinly on the plastic wrap using a spatula or bowl scraper. Sprinkle the 1/2 teaspoon of cinnamon over that. Cover it with another sheet of plastic wrap. Put it in the freezer for five minutes. Take it out when it's stiff as a board. Break it up into mini-chip-size pieces. Whisk together, in a large mixing bowl, the flour, granulated sugar, baking powder, salt, cinnamon, ginger, nutmeg, and allspice. 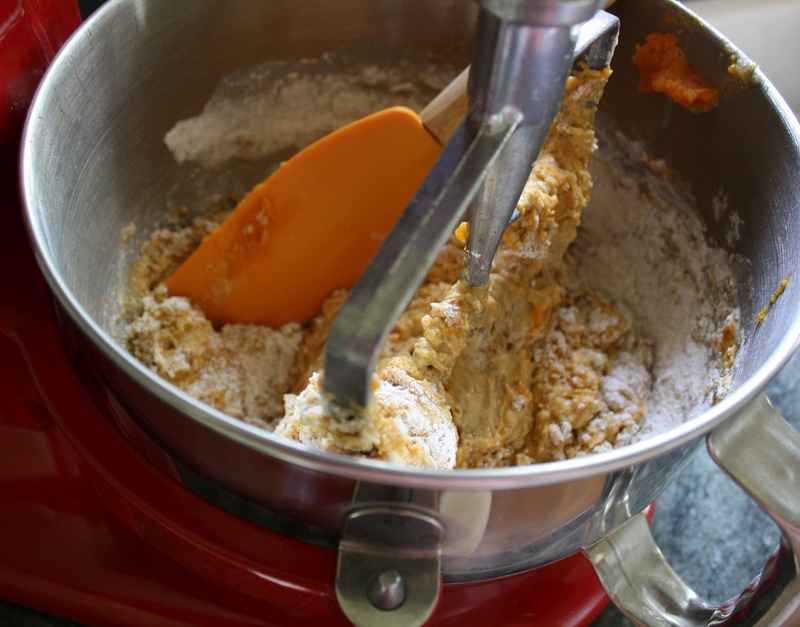 Using a pastry blender, a fork, or even your fingers, work the butter into the dry ingredients until crumbly. It's fine if some small lumps remain. Toss all of the homemade cinnamon chips in and stir to combine. In another bowl, whisk together the eggs and canned pumpkin. Pour all of this into the bowl of dry ingredients and stir until it comes together into a solid dough. Turn the dough out onto a lightly floured surface, and pat it into a ball. Press the dough with your hands into a large circle, at least 10 inches in diameter and 3/4" thick. 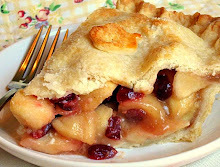 Using a sharp knife or a pastry wheel, cut the circle, pie-style, into 8 even triangles. Lay the triangles on a parchment covered baking sheet. I bake my scones so they're not sitting right next to each other, and they have a chance get golden brown all over; you may also choose to bake them about 1/2" apart from each other so they'll end up slightly attached and less crispy on the sides. Brush the tops of each one with half and half, and sprinkle generously with coarse/sanding sugar or regular granulated sugar (coarse sugar will be more sparkly, once baked). Bake the scones for at least 20 minutes. They are done when they're golden brown, and a toothpick inserted in the thickest part comes out completely clean. Serve them warm or cold. Best the first day, but still pretty good the second! Apple Cinnamon Blondies . . . This past weekend, my husband and I went out for dinner with two close friends we've known for years and with whom we always have a predictably great time. We enjoyed a fun and very noisy evening at an old German biergarten in downtown Detroit, the kind of place with a menu featuring wienerschnitzel, sauerkraut, and spatzle. It was louder than heck in there and, like every other customer present, we had to shout at the top of our lungs to be heard. We laughed a lot, and stayed just until the din became slightly too outrageous to tolerate. But the night was still young so we journeyed back to the northern suburbs, to a nice little place near my house that always has reliably interesting desserts, good coffee, and better than average service. It's one of those restaurants where the waiter brings a display of desserts to your table on a big tray and describes each one for you in detail. 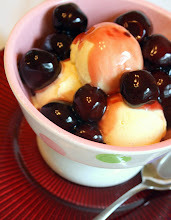 The offering of sweets varies, as you would expect, from season to season and from week to week. 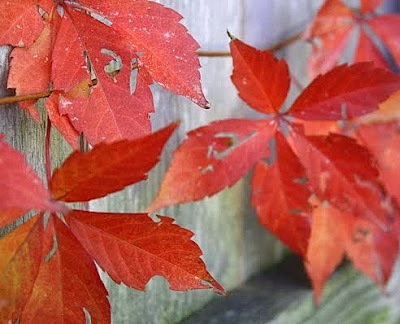 Several of the selections presented to us were perfectly expressive of autumn. 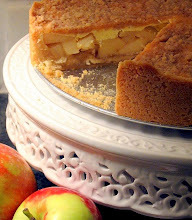 There was a dressed-up variation on the traditional apple brown betty, involving a slice of warm spicy cake topped with apples, walnuts, and cinnamon ice cream; a "Scotch" cake of some sort that was served in a big square hunk, very warm, placed over a glossy golden sauce; and a cheesecake drizzled simply with caramel. My hubby ordered the Scotch cake. I opted for the apple brown betty, and about one bite into it I began to feel that familiar urge to rake leaves, carve a pumpkin, and get busy baking with tangy red apples in my own kitchen. 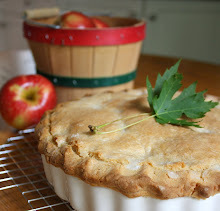 Of course, it's still too early to engage in the first two activities but, luckily, not too early to bake with Michigan apples--those wonderful, crunchy, beautifully sun-dappled apples. Never get tired of 'em. Can't help loving 'em. Quick and simple, these apple cinnamon blondies are a nice alternative to regular blondies or brownies. They're not too heavy, not too gooey, and not overly sweet. They'll satisfy your craving for an apple lover's treat without going overboard. 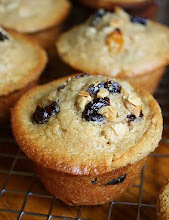 These blondies got a big thumbs-up from my youngest son. 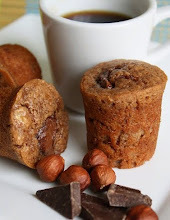 I adapted this recipe from another original blondie recipe of mine (Cream Cheese Blondies with Milk and Dark Chocolate Chips and Honey Roasted Almonds) that I posted in 2009, and which can be found here. In a medium size bowl, lightly whisk together the flour, salt, and cinnamon. In a small bowl, toss the apple bits with the lemon juice. 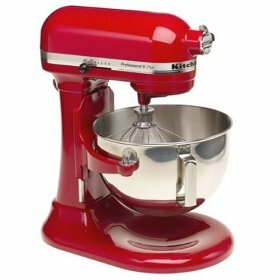 In the large bowl of your mixer, using the paddle attachment on medium-low speed, cream the butter, cream cheese, and brown sugar until very well blended and smooth. Add in the eggs and vanilla bean paste, beating on medium speed until well combined and smooth. Gradually add in the flour mixture on the lowest speed, beating just until blended. Add in the apple pieces, beating just until evenly combined. Use a small offset metal-spatula or the back of a large spoon to spread the batter evenly in the prepared pan. 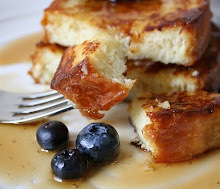 Mix together the 1 tablespoon granulated sugar with the 1/2 teaspoon cinnamon, and sprinkle it all over the batter. 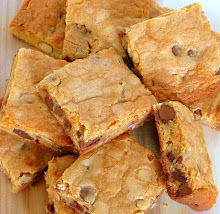 Bake the blondies for about 25 minutes, until they start to look lightly golden brown and a finger pressed lightly on the top of the blondies doesn't leave an impression. Let them cool in their pan, placed on a cooling rack, for at least twenty minutes before trying to lift them out by the parchment handles. Cut them with a really sharp knife. Store them well covered and they'll be good for a couple of days. You bake all the time, right? So maybe you've experienced this phenomenon and, if so, I'll bet it's absolutely warmed your apron strings as much as it has mine. 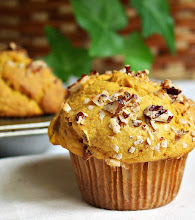 You're wandering the aisles of a grocery store or bakery, sitting in a restaurant, or maybe even scanning the treats at a bake sale, and someone in your family--a kid, a spouse, a sibling--looks at you and pointedly remarks, "I realize I've become a real snob about cookies/cakes/bread/pastries because the stuff you make at home is so much better than anything I can buy." In response, you just smile and murmur humbly, "Oh thanks, that's really nice of you to say." In your head, though, you're raising your fists in triumph and shouting, "Yes! Now that's what I want to hear!" It's just the best kind of compliment for a home-baker to receive, don't you think? I never get tired of hearing that. Let's make snobs of 'em all. Surreptitiously, of course. Are you with me? Adapted from a King Arthur Flour recipe, I didn't veer far from the original formula but did make a few minor adjustments. 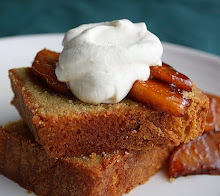 Instead of using ground ginger and cardamom, I omitted the cardamom altogether and used finely diced candied ginger. I added in a freshly grated nutmeg, a pinch of ground cloves, and I increased the amount of cinnamon. Also, I decided to toss in dark raisins near the end of the main mixing cycle and, once baked, I drizzled a thin white icing atop one of my loaves while it was still slightly warm, leaving the other one plain. 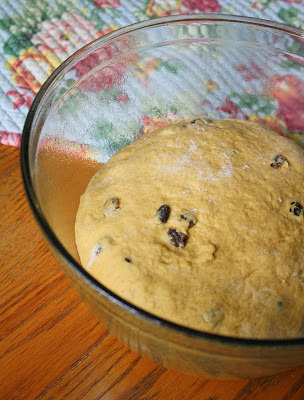 This recipe makes a very sticky dough that cries out for more flour than King Arthur indicates, an all too common scenario that will test any baker's powers of restraint. 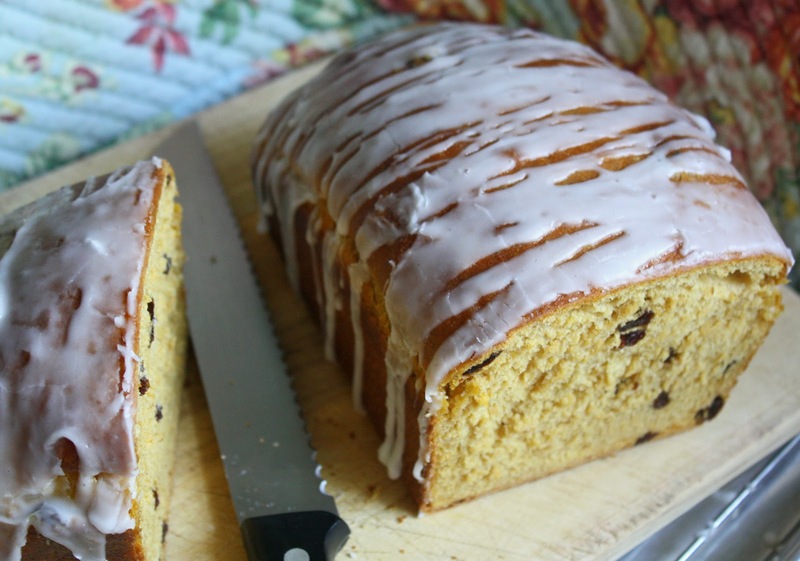 The more flour you add in, the less soft and tender the loaf will probably turn out to be, but the less flour you use the messier and less cooperative the process promises to be from start to finish. Without going overboard, I added in just enough extra flour to make the dough workable once it reached the stage where I wanted to knead it by hand, out of the mixer bowl. So just use your own judgment and, in this case, remember that softer dough equals softer bread. 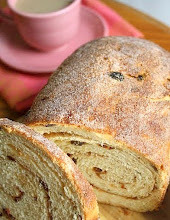 This fragrant yeast bread is slightly sweet. 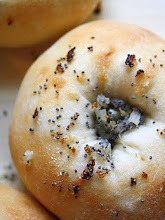 Great eaten plain when extremely fresh, or toasted and buttered in the days following. While it's baking, your house will smell like a cozy autumn afternoon, lightly spiced. 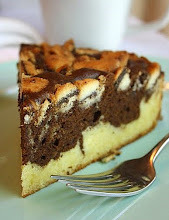 I wouldn't hesitate to make this again. Generously grease two standard size loaf pans and set them aside. In the large bowl of your mixer, using the paddle attachment on lowest speed, mix together 4 and 1/2 cups of the flour, along with the yeast, brown sugar, salt, and spices. Add in the water, milk, eggs, pumpkin, and oil. On medium speed, mix for two minutes. Scrape the bowl and beaters and sprinkle in all of the raisins; mix them in on low speed. Add in the rest of the flour gradually, still on low speed. 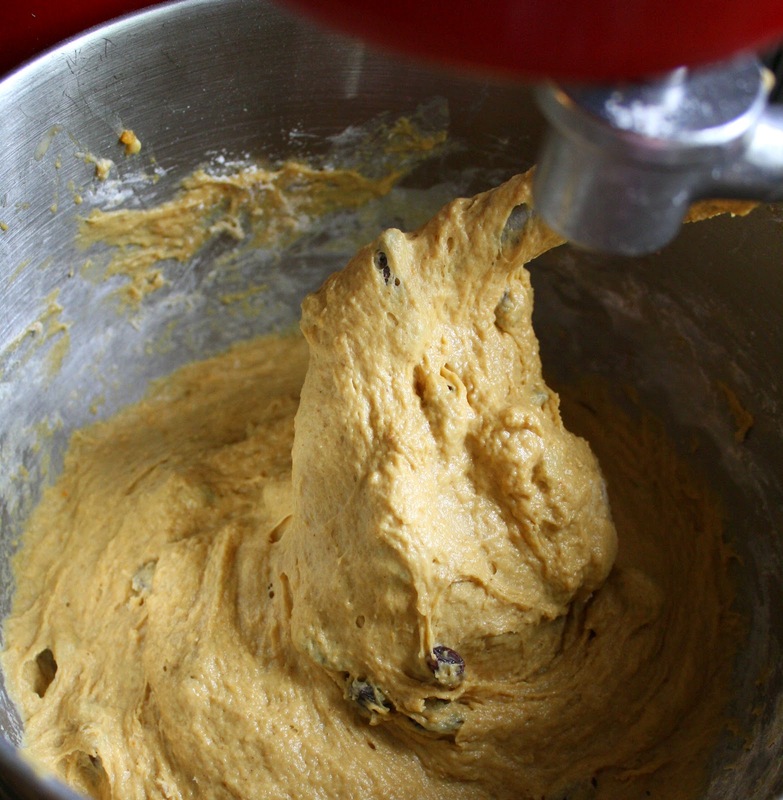 Switch to the dough hook and knead on lowest speed for about three minutes, or dump the dough out onto a well-floured surface and knead for several minutes by hand, until the dough is smooth and elastic. Put the dough into a greased (or oiled/sprayed) bowl and turn it so it's coated all over. Cover the bowl tightly with a greased piece of plastic wrap, and cover that with a dish towel. 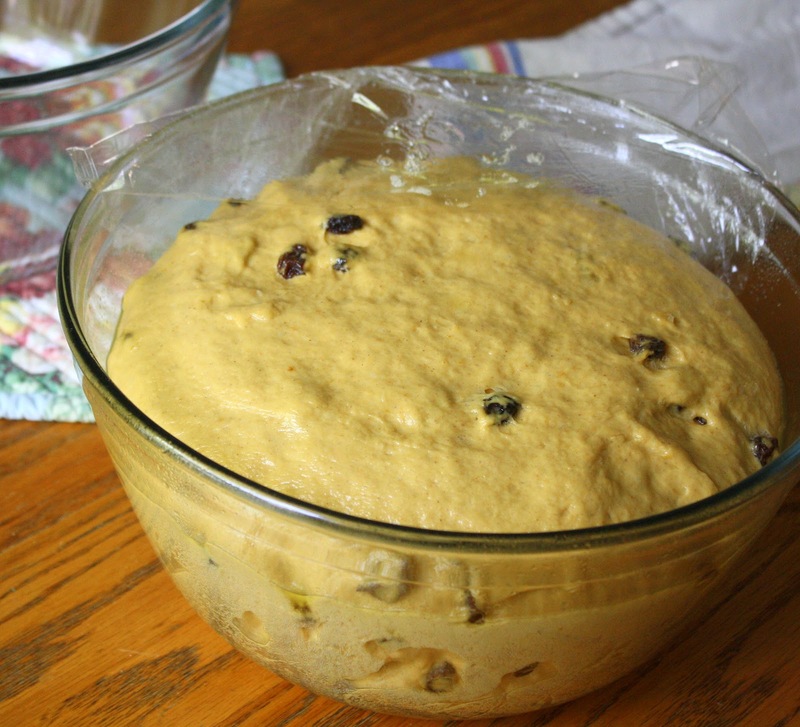 Place the bowl in a warm spot and let the dough rise until it's doubled, about one hour. 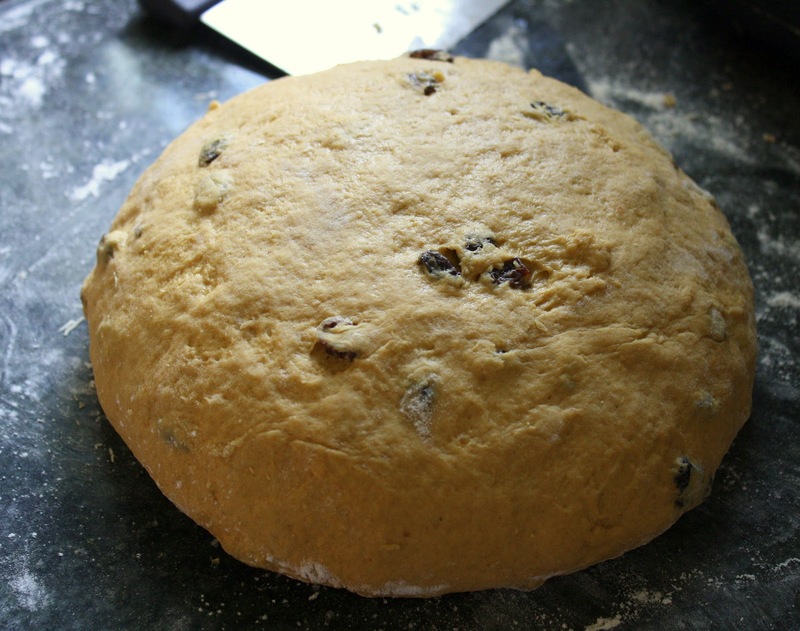 Dump the risen dough out onto a very lightly floured work surface. 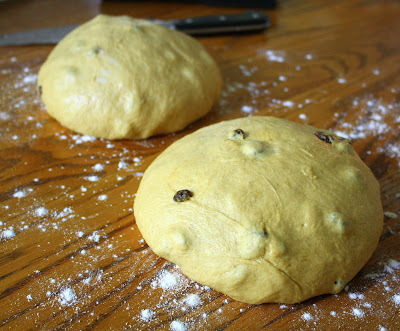 Deflate the dough gently by pressing on it, then cut it into two equal portions with a bench knife or a sharp chef's knife. Round each portion, then cover them both with greased plastic wrap; let the dough rest like this for about 10-15 minutes. 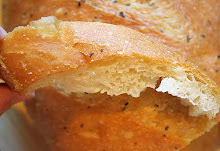 Uncover the pieces of rested dough, and form each one into a loaf shape, being careful to tightly pinch closed all seams. 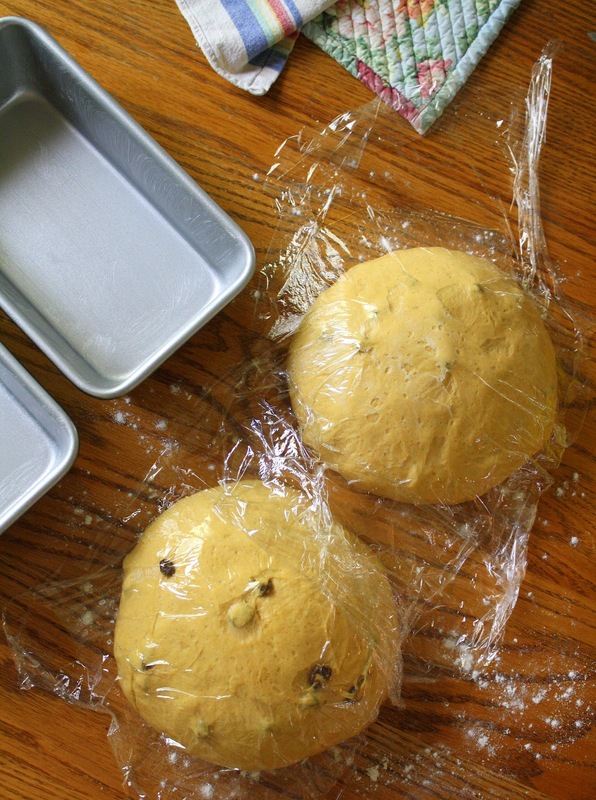 Place the dough into the pans, cover them with greased plastic wrap and place them in a warm spot. Let them rise until almost doubled, about half an hour or so (the dough should rise just above the top of the pan). Preheat your oven to 375 degrees. Before putting the risen loaves into the hot oven, mist the tops well with water (or, dampen your hands with water and gently pat the water onto the loaves). Open the oven door and squirt your mister into it a few times quickly (aim away from the oven light). Put the pans in the oven on the middle shelf. 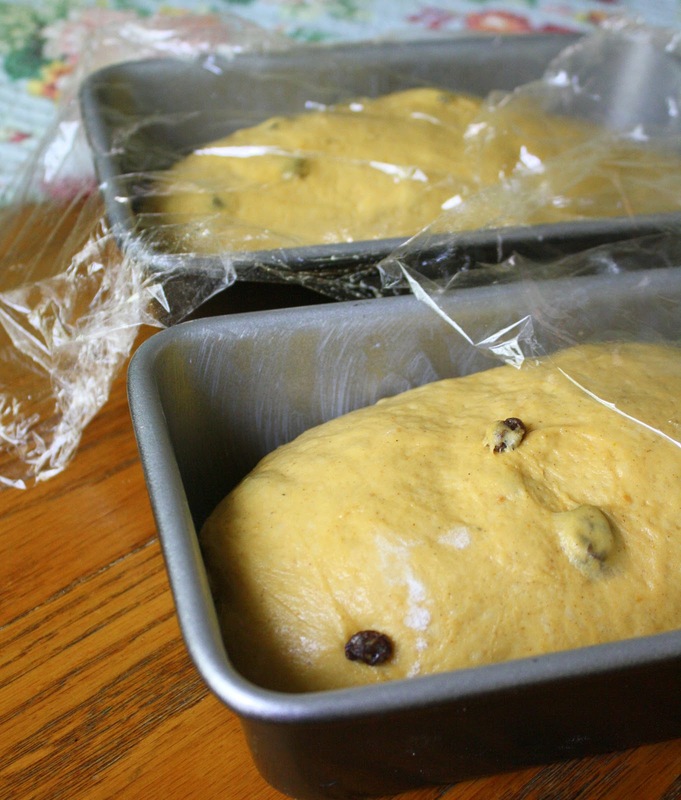 Bake for at least fifteen or twenty minutes before you open the oven again to peek at the loaves. At that point, if they appear to be browning too quickly, lay a piece of foil over them lightly. Bake for about 30 minutes total, or until a stem thermometer poked deeply into the bottom of the loaves reads at least 190 degrees. They should be deeply golden brown. 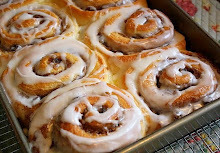 Remove them from the pans immediately and put them on a cooling rack. Melt about three tablespoons of unsalted butter, and brush it generously over the warm loaves; it will quickly soak in.